Punkin’ Run XIII is in the books and from the feedback, it was a success. Next up is the Southern British Car Clubs annual show at the Chattanooga Choo Choo on October 31 from 10 AM to ! PM. Watch for updates. Our next ride is Punkin’ Run XIII scheduled for October 18th. We’ll meet at the Northgate parking lot between Arby’s and Sears. Departure time is set for 1:00 PM. We’ll drive the back roads up to Dayton and then take Hwy. 30 across Dayton Mountain to Wooden’s Orchard. After a stop there, we’ll come back down the mountain to Dayton and eat at Jacob Myers. No dinner is scheduled for October since this event occurs on the day before the usual dinner date. This month’s dinner is at Abuelos at Hamilton Place, 7 PM, September 21. This is the list of remaining events for 2015. Doesn’t mean we can’t add more or change dates. Make suggestions if you have any. We’ll meet this month ay New York Pizza Dept. on Hwy. 153 in Hixson (across from Walmart) at 7 PM. Join us Sunday as we host the Windy City Miata Club from Chicago, Ill. We’ll be making an all day drive through the roads west of Chattanooga. We’ll leave from the Walmart parking lot in Tiftonia at 10 AM. Dinner will be at Sticky Fingers on Broad St. in Chattanooga at 6:30 PM. We’ll be meeting at 7 PM at Mellow Mushroom at Hamilton Place. 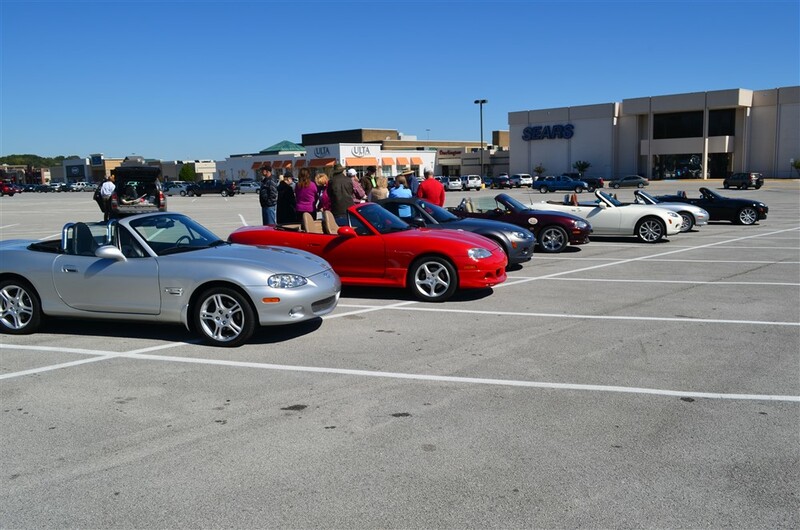 Come eat dinner with us and give us some ideas for the 9/14 ride with the Windy City Miata Club.